Spotify posts loss of £16.6m for 2009 | What Hi-Fi? The latest figures show that it made a loss of £16.6m in 2009, although it did manage to increase the number of people using the service sevenfold during the same year. At the beginning of 2009 there were one million Spotify users across Europe, and by the end of the year it had reached seven million. Since then the number of users has topped 10 million. Of those seven million 2009 subscribers, 250,000 were paying for the service. 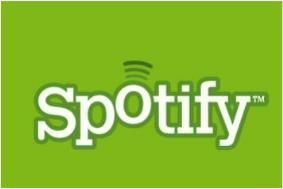 Spotify issued a statement saying: "2009 saw us focus on establishing a new and innovative music service and bringing it to millions of people across Europe. "The groundwork laid in our launch year has been crucial to the significant achievements made in 2010. Further strengthening and expansion of the service remains our top priority." During 2009 40 per cent of revenue (£4.5m) was from advertising while 60 per cent (£6.8m) came from subscriptions. The losses may be one of the reasons why Spotify still hasn't been launched in the US.